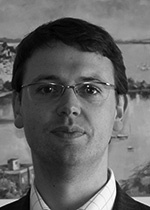 Oliver Allenby-Smith trained on the south coast and practices as a Consultant General Surgeon at Poole Hospital. His area of expertise is in laparoscopic surgery (keyhole) and in particular he focuses on benign upper gastrointestinal conditions and hernia surgery. This includes laparoscopic surgery for gall stones, reflux disease and obesity. Mr Oliver Allenby-Smith does not hold a share or financial interest in this hospital, another Nuffield Health hospital or the company. Mr Oliver Allenby-Smith does not have a share or financial interest in equipment used at this hospital or another Nuffield Health hospital. Mr Oliver Allenby-Smith does not hold any paid advisory role(s) at this hospital or on behalf of Nuffield Health.